This delicious French Dessert is made easy with Bisquick. Fast, delicious and made in a cast iron skillet. 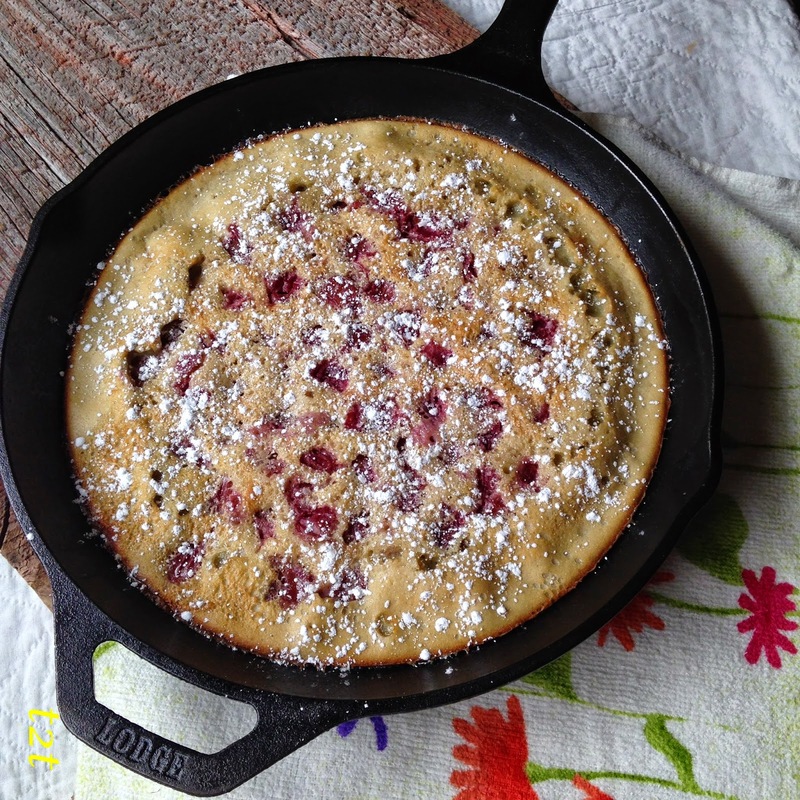 I’m sure how the French will feel about this recipe….with the addition of Bisquick, but this version of clafoutis turned out delicious. 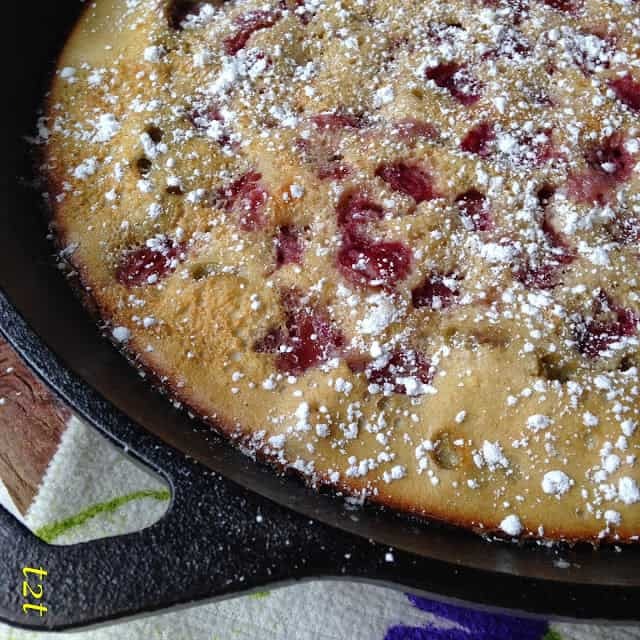 Clafoutis can be made with just about any fruit or fruit combinations. We really like combining cherries and peaches or plums and peaches. Fruit that sometimes is overlooked. 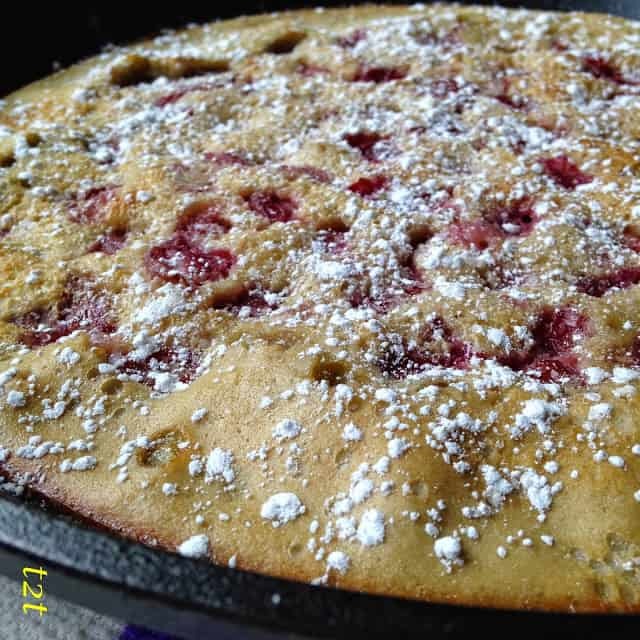 *Traditionally, clafoutis is specifically made with black cherries although many clafoutis variations include other fruits such as: plums, prunes, blueberries, blackberries, raspberries, peaches or apples. Heat oven to 350 degrees. Spray a 10″ cast iron skillet with non-stick spray. 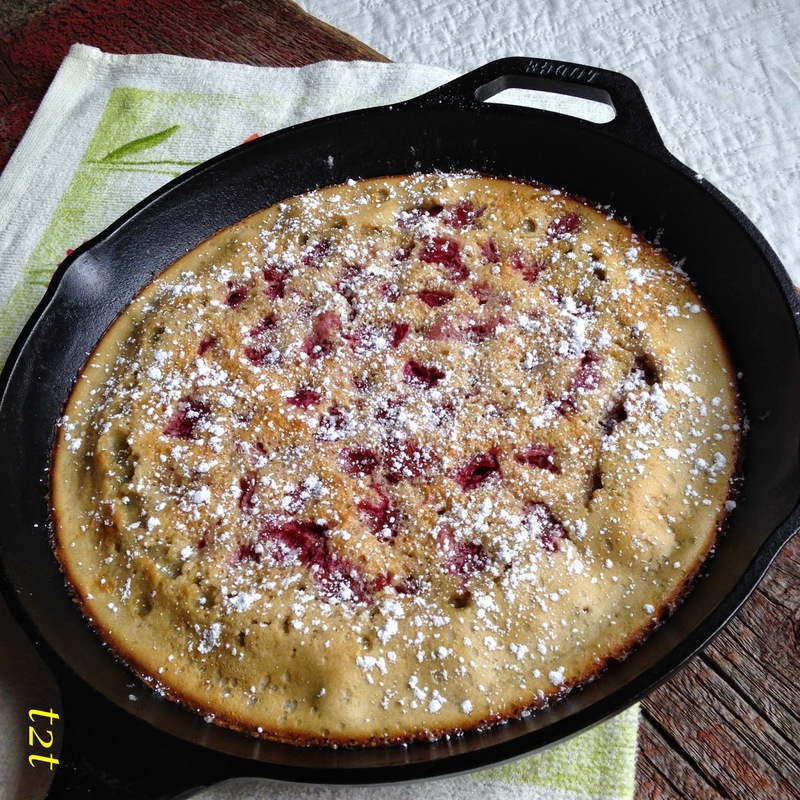 Evenly distribute cherries, peaches and almonds in the bottom of skillet. Beat Bisquick mix, sugar, milk, cherry juice or kirsch, almond extract and eggs with an electric mixer on medium speed for 2 minutes. Pour over fruit. Bake for 35 to 40 minutes or until a knife inserted in center comes out clean.